back to watching with F). If you use rotating logs, check out the –follow-name option. 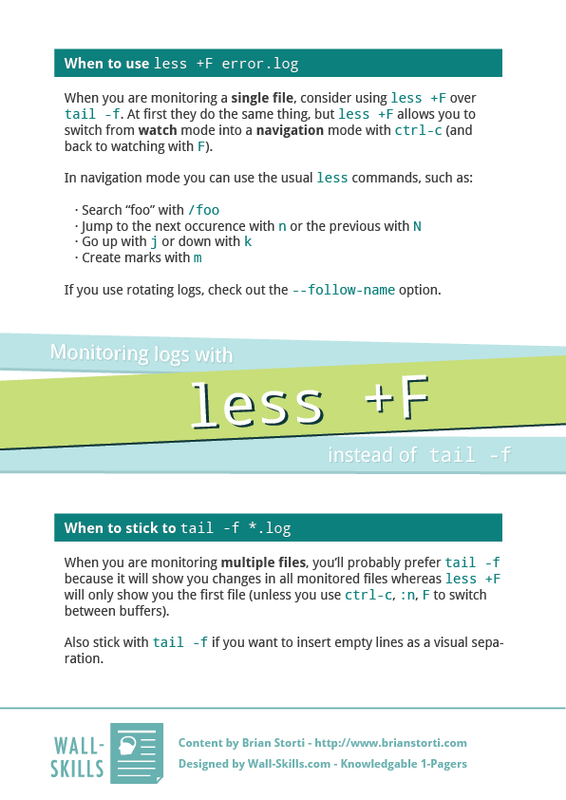 When you are monitoring multiple files, you’ll probably prefer tail -f because it will show you changes in all monitored files whereas less +F will only show you the first file (unless you use ctrl-c, :n, F to switch between buffers). Also stick with tail -f if you want to insert empty lines as a visual separation.